Greenland is best known for its ice, but some remote sensing scientists found themselves closely tracking a sizable wildfire burning along the island’s coast in August 2017. 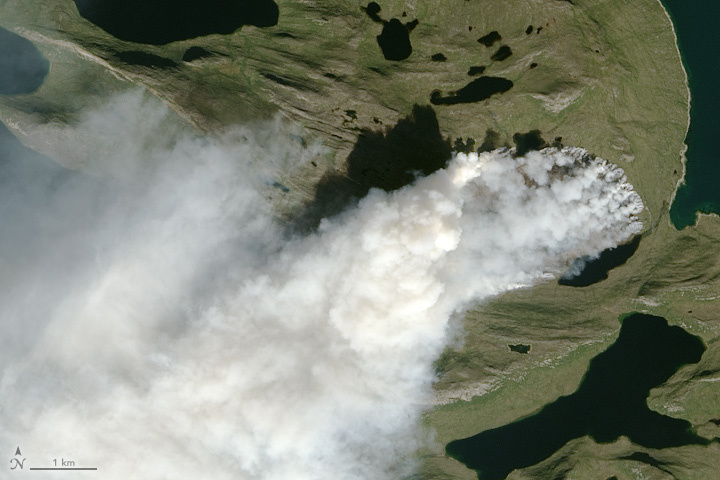 The fire burned in western Greenland, about 150 kilometers (90 miles) northeast of Sisimiut. 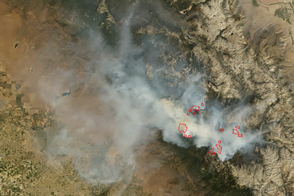 Satellites first detected evidence of the fire on July 31, 2017. The Moderate Resolution Imaging Spectroradiometer (MODIS) and Visible Infrared Imaging Radiometer Suite (VIIRS) on Suomi NPP collected daily images of smoke streaming from the fire over the next week. The Operational Land Imager (OLI) on Landsat 8 captured this more detailed image of the fire on August 3, 2017. While it is not unprecedented for satellites to observe fire activity in Greenland, a preliminary analysis by Stef Lhermitte of Delft University of Technology in the Netherlands suggests that MODIS has detected far more fire activity in Greenland in 2017 than it did during any other year since the sensor began collecting data in 2000. 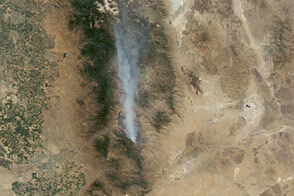 Fires detected in Greenland by MODIS are usually small, most likely campfires lit by hunters or backpackers. 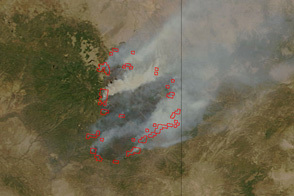 But Landsat did capture imagery of another sizable fire in August 2015. According to Ruth Mottram of the Danish Meteorological Institute (DNI), neither DNI nor other scientific groups maintain detailed records of fire activity in Greenland, but many meteorologists at the institute have heard anecdotal reports of fires. The blaze appears to be burning through peat, noted Miami University scientist Jessica McCarty. That would mean the fire likely produced a sharp increase in wildfire-caused carbon dioxide emissions in Greenland for 2017, noted atmospheric scientist Mark Parrington of the European Commission’s Copernicus program. It is not clear what triggered this fire, though a lack of documented lightning prior to its ignition suggests the fire was probably triggered by human activity. The area is regularly used by reindeer hunters, and is not too far from a town with a population of 5,500 people. The summer has been quite dry. Sisimiut saw almost no rain in June and half of the usual amount in July. That may have parched dwarf willows, shrubs, grasses, mosses, and other vegetation that commonly live in Greenland’s coastal areas and made them more likely to burn. Fires emit a soot-like material called black carbon. It is likely that winds will transport some of this material east to the ice sheet where it will contribute to a line of darkened snow and ice along the western edge of Greenland’s ice sheet. 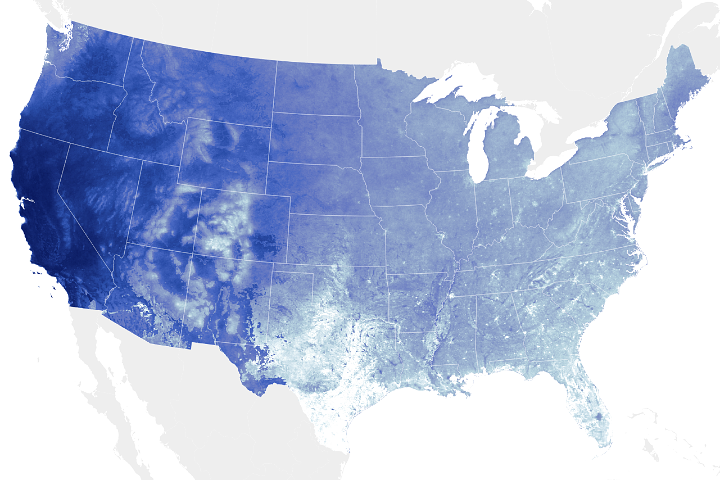 This area is of interest to climate scientists because darkened snow and ice tends to melt more rapidly than when it is clean. 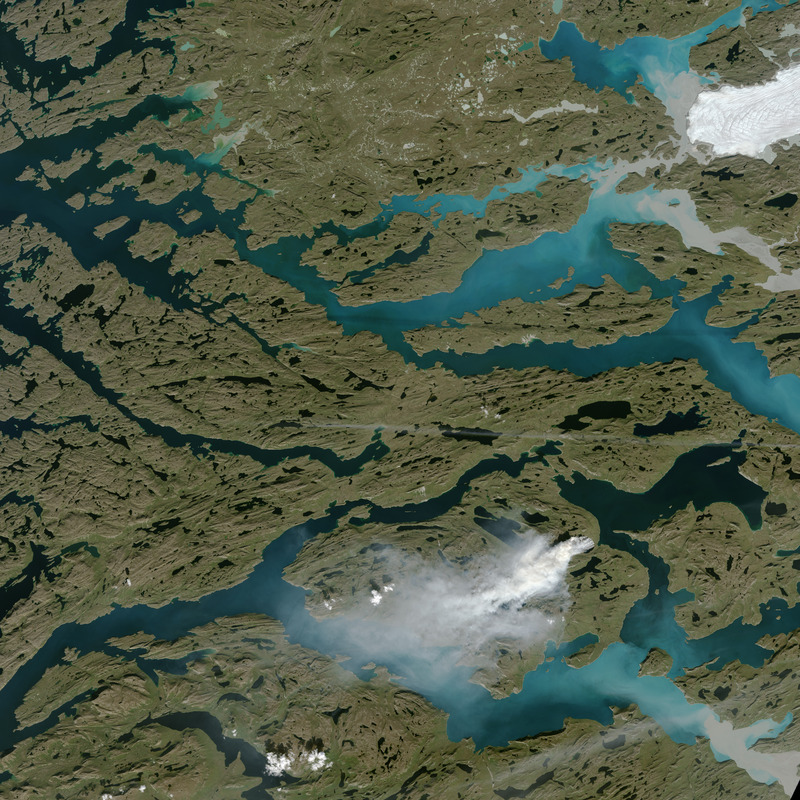 NASA Earth Observatory image by Jesse Allen, using Landsat data from the U.S. Geological Survey. 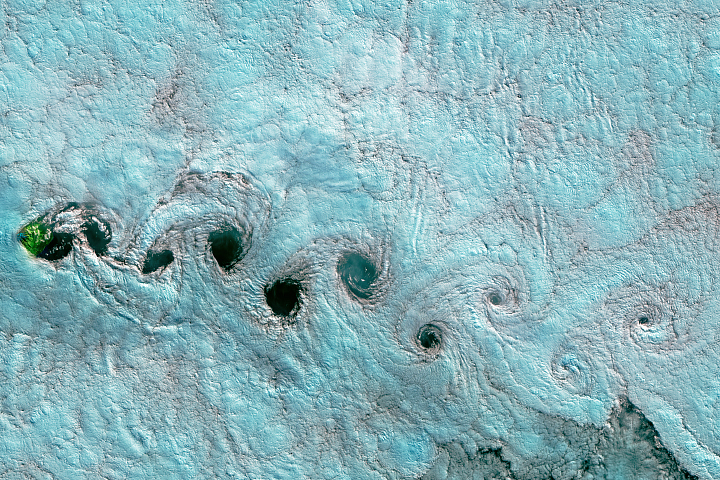 Story by Adam Voiland, with information from Ruth Mottram (Danish Meteorological Institute), Jessica McCarty (Miami University), Mark Parrington (COPERNICUS), and Stef Lhermitte (Delft University of Technology). Scientists are using satellites to track a sizable wildfire burning along Greenland’s western coast. Climate Central (2017, August 7) There’s a Wildfire Burning in West Greenland Right Now. Accessed August 11, 2017. KNR (2017, August 7) Al færdsel i Nassuttooq og Amitsorsuaq frarådes. Accessed August 11, 2017. Mashable (2017, August 10) A large wildfire has been burning in Greenland for more than a week. Accessed August 11, 2017. NASA Earth Observatory (2017, August 10) Roundtable: The Greenland Wildfire. Nunatsiaq Online (2017, August 9) It’s fire, not ice in Greenland, as tundra fires sweep across northwest coast. Accessed August 11, 2017. Wildfire Today (2017, August 7) Wildfires are burning in Greenland. Accessed August 11, 2017.